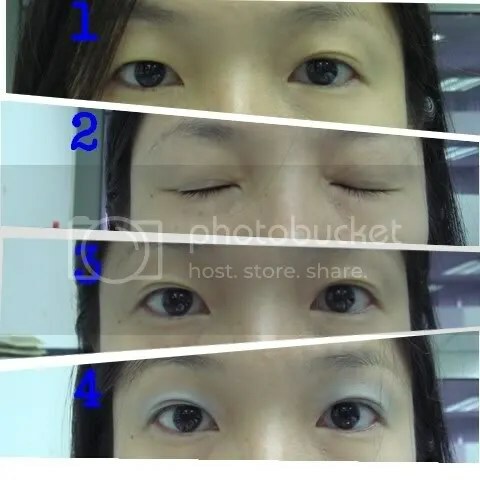 #1 – Naturally, only one side of my eye has double eyelid. Sibeh ugly until can die lidat. To make it balance…. 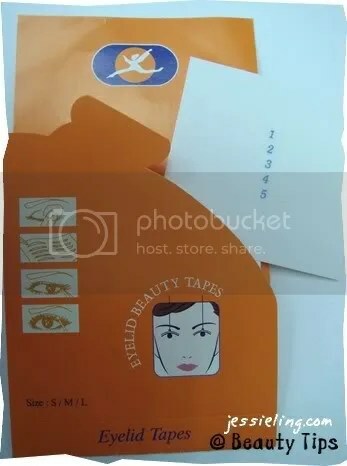 #2 – Use a tweezer to hold on the tape and stick them on your eyelid. #4 – Put on your usual eye shadow. Whoever want try the tape can get from me since I’m not using them anymore. Vely cheap only!!!! 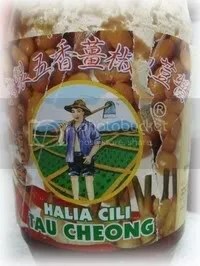 Can’t remember the price liao but I think less than 5 ringgit. ATM Pin Number Reversal is….. FALSE!!! This information was recently broadcasted on TV and it states that it is seldom used because people don’t know it exists. Well, to know if the above fact is true or not, check out Urban Legends. 😀 If you are too lazy to click the link, conclusion of it – The process is Copyrighted and the owner can’t manage to convince all banks to use it. So, to make himself stand out from the crowd, he is circulating this in the internet? hmmm…. Three hours of simmering in the clay pot using the most nutritious ingredients – spinach, carrot and fish. He took a snif at the aroma and ask for marmite. Wish is granted, my child. 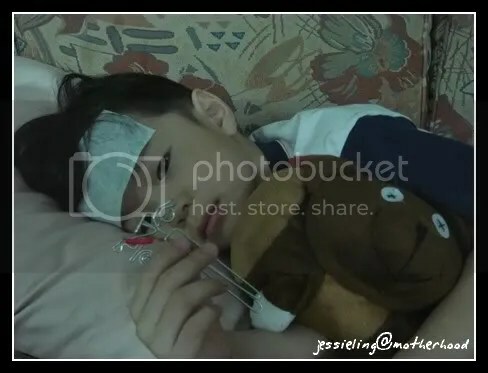 He took a mouthfull of porridge and the next minute, he decided to PUKE IN THE BOWL OF PORRIDGE THAT I’M HOLDING!!! *sigh…. Sounds kind of a reliveve to me. At least he did not throw up all over the place. You know how messy it is to clean up puke. *euchhhhhhhhhhhhhhhhhh…..
Sautee garlic in olive oil till a little brownish. 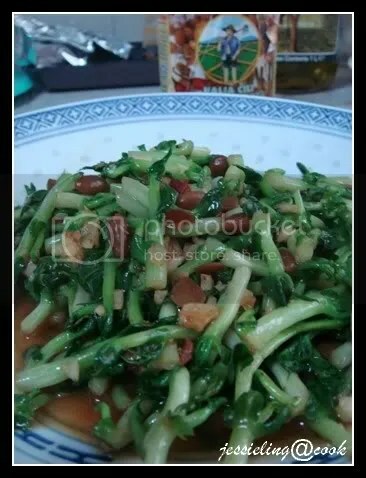 Add one large tablespoon of tau cheong also known as salted or fermented soya bean. 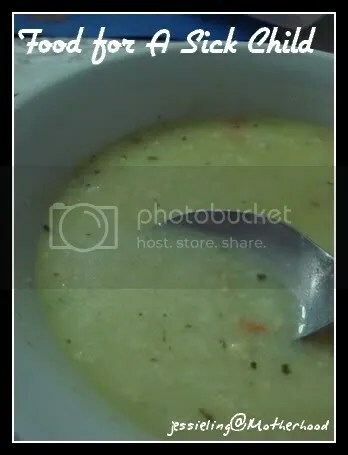 Give them a quick stir and put in the pea sprout. Another few stir fried and add in some water. 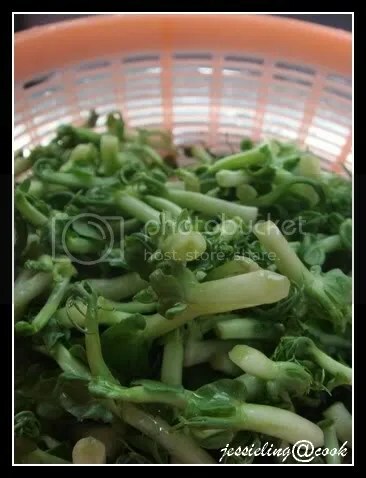 Bring them to a boil but don’t over cook your vege. How important is blogging on the internet to you? This guy thinks that I’m famous now after started blogging. *flapping wings 😆 * Oh yea!!! Was going thru my picture folder a moment ago and stumble upon this double decker bus which i took about few months ago in Klang. Yup, fyi, there are lots of double decker buses now in Klang Valley. 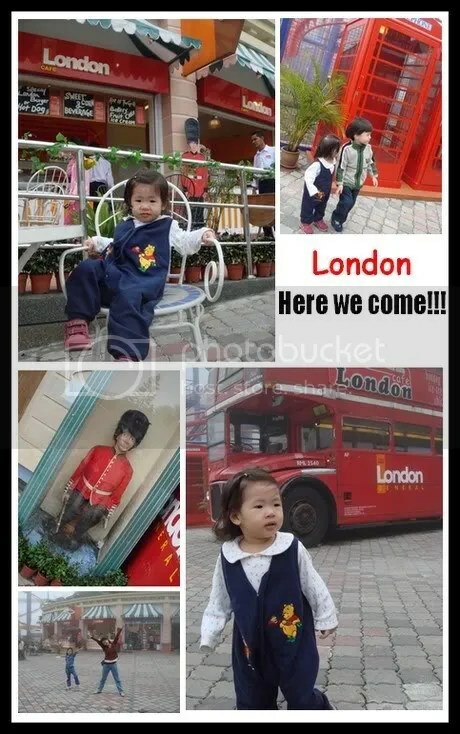 So if you or your son is eager to hop on the double decker bus, don’t have to travel all the way up to Genting Highland and all you get is just standing next to the London bus to take pic. KL or PJ got plenty of them now. 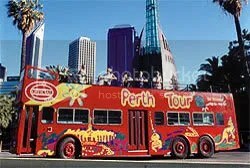 And if you think the London bus is cool, wait till you see the open roof top double decker bus in Perth! Rub butter or oil, five spice power and dark soy sauce over the skin of the chicken until it is completely coated. Take a knife and gently separate the skin from the breast meat; slide lemon halves under the skin with the peel side up. This way the juice from the lemon will coat the breast. Season skin of chicken to your preference; place spring of rosemary into the chicken. Cover and place in oven for 30-45 minutes. 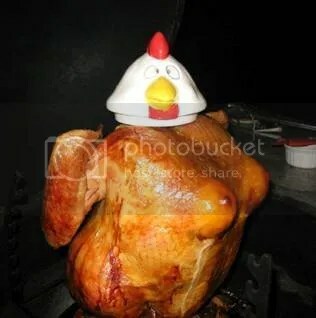 Remove cover and continue to roast until juices run clear, basting every 15-20 minutes, depending on size of the bird. London’s Atmosphere in Genting NOW! brrrr…. 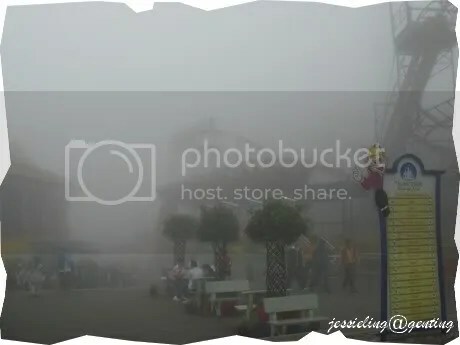 I’ve never experience such a cold weather in Genting Highland before. Despite the thick mists, it was a bliss when the cool air sip into your flesh and makes you shivers on the spine. Not! *sigh… poor Hubby had a sneezy nose the whole day. The hot water in the flask now became his beverage instead of the baby. Flowers is a women’s weakness. You have to agree with me on this. Each time I’m here, I can’t resist this spot. 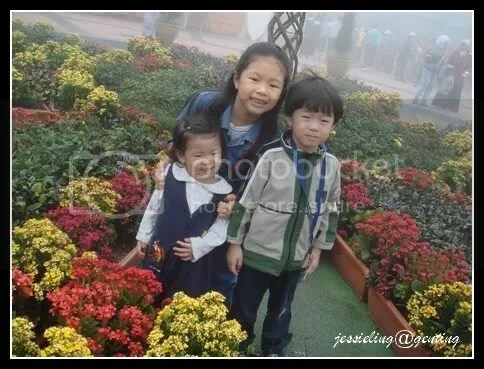 And each time I’m here, they have different type of flowers :). And each time I’m here, I must have their yummilicious hot piping cheesielicious sausage. Look at the cheese oozing out. Mind me. 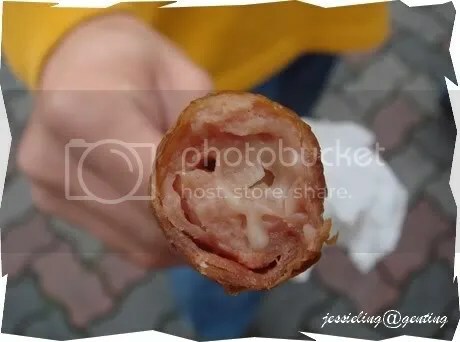 It cost me 4 ringgit for that miserable looking piece of sausage!!! But aitelyu, it is worth every penny. 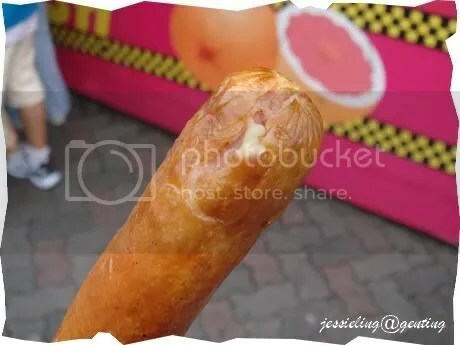 I’ve tried Marche’s cheese sausage and a few other famous outlet (that is including yours, Fishingman 😉 ) but no one can make their cheese sausages oozing out cheese like this one. 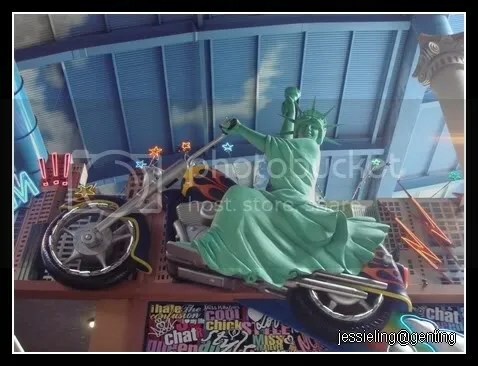 What is new in Genting, you might ask. The London atmosphere is here. The London bus, London Cafe, red telephone booths. Oh yea! That ugly looking soldier too. Do they have a specific name? While we are there, they added 2 new rides which is still under construction – the Pirate Ship for the grown-up and a Choo-choo train rides for the toddlers. December will be the perfect month if you are planning to go Genting since the place will be decorated in Chrismassy mood. But bear in mind of the uninvited crowd unless you go there makan angin or jalan-jalan only. 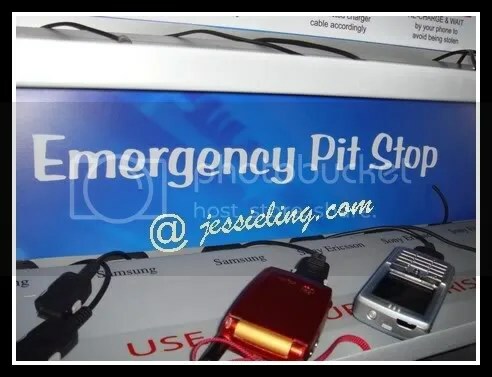 The Emergency pitstop is new too. 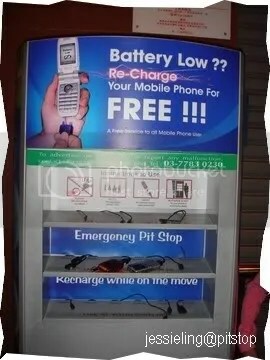 Looks like human nowadays can’t live a single minute without mobilephone huh. 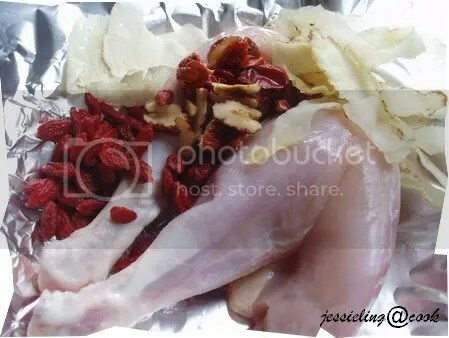 Whenever I am at the Chinese Medical Hall buying chinese herb, I just point out to what I want instead of telling them what I want. My mom has been recite the names one hundred and one time but I still can’t remember their names. Maybe only 50% of the common herbs that I buy. Bear with me on some missing names in the ingredients. 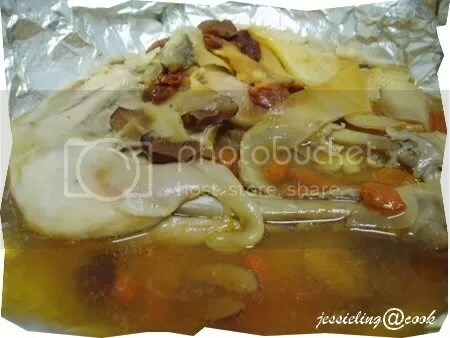 Place all the ingredients above in aluminium foil and steam for at least 2 to 3 hours. I’m not in the mood for any rain song. Just to show off the above pic. wakakaaa… nice or not? And I’m stuck in my car without an umbrella 😐 waiting for the rain to stop. 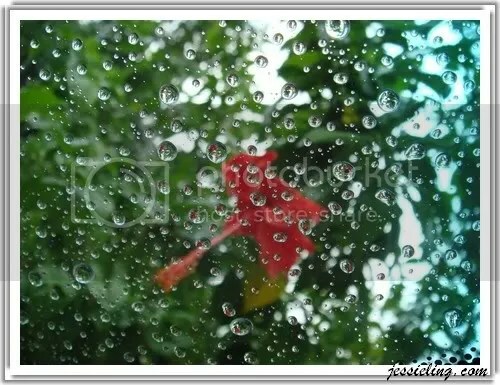 Gosh, it has been raining almost everyday without fail!! !